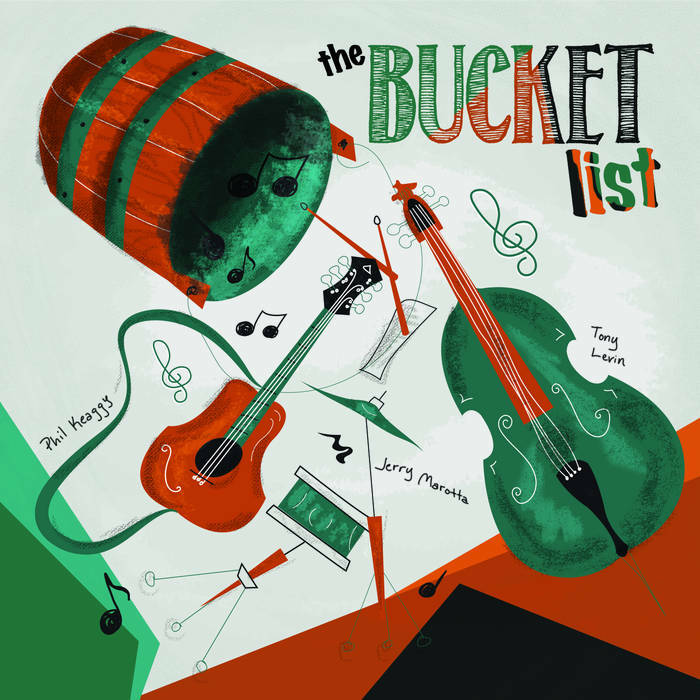 Review: "The Bucket List: The Bucket List" - Sea of Tranquility - The Web Destination for Progressive Music! I'm listening to their album now. Phil Keaggy,Tony Levin and Jerry Marotta. WOW! it's beyond tasty. Sometimes I think Allan Holdsworth is flowing into my ears,but Phil is playing of course. He's that good and always has been. Tony and Jerry have played together before so that rhythm section is quite solid here and this trio really gels so well. If they tour we should all try and see them it couldn't be anything less than excellent. I did notice a salute to The Beatles' "I Want You(She's So Heavy)" in "Carved In Stone" so I'll just let you discover it it's more magical that way. This music is so enjoyable and there are no vocals so if you want to read a book it's great for that or whatever you feel like doing. The production is stellar. I'm giving The Bucket List 5 stars.